Local 2001 is seeking experienced individuals to conduct contract bargaining and contract enforcement and to engage members in the fight for better working conditions. 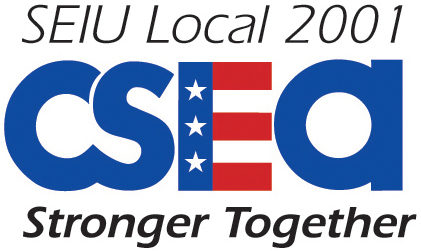 CSEA SEIU Local 2001 is a union of over 20,000 dedicated public workers and retirees who provide vital services including education, transportation, public safety, conservation, municipal government, and child care to the people of Connecticut. For over 75 years CSEA has been a leading voice for quality public services in the state and the nation. CSEA is part of the Service Employees International Union (SEIU), one of the largest and fastest-growing labor unions in the United States. CSEA offers competitive salary, comprehensive medical insurance, a defined benefit pension, travel reimbursement, and paid vacation. Email a cover letter and résumé to Mike Nortz at mnortz@csea760.com.